Deep Tissue Thai™ is full-body, deep-tissue bodywork that is designed to work holistically, helping to restore harmony to your physical, energetic and emotional bodies. Like many Eastern forms of healing, this type of bodywork is based on the belief that your energy, or life force, flows along channels within your body. When your energy is flowing freely, you feel balanced and healthy. But any blockages in this energy flow can make you feel achy, sluggish or sick. Stress can exacerbate the situation, since it’s typically during stressful times that you neglect your body, causing unprocessed emotions, toxins and tension to block you up even further. Influenced by Traditional Thai Massage and adding the benefits of breath work, deep tissue massage, Shiatsu, Acupressure, Chi Nei Tsang, Trigger Point Therapy and Traditional Maori Romi Romi healing, Deep Tissue Thai™ is a style of bodywork that is deeply transformative for body and mind. Matthew’s compression technique helps to clear stuck energy that no longer serves you and helps to release tension and pain re-aligning your body so it can return to its natural state of well-being. Each full session is three hours long and takes place on a mat on the floor. The client remains clothed, except for occasional oil work on the legs, back and abdomen. By using his hands, elbows, knees, feet and sit bones, Matthew assists in releasing stagnant energy from main acupressure points along Thai sen lines. He leads breathing techniques throughout the session, and clients participate by breathing consciously and staying present in their bodies. Each session is tailored to your needs and typically follows a brief consultation. Additionally, clients are highly encouraged to direct Matthew to areas where they need the most work, or to adjust the level of pressure used, at any time throughout the session. This style of bodywork is intended for people seeking to make a shift in their body and in their life, and is helpful for relieving chronic physical pain and suppressed emotional issues. In 2009, I was going on my 20th year working as a professional photographer. I had just completed the photography project of a lifetime. My 9-month-long Asia Spa Project involved photographing Asian healing arts throughout India, Sri Lanka, Thailand, Laos, Cambodia, Indonesia, Malaysia and the Philippines. Physically, I was wrecked. After almost a year of carrying eight heavy cases across the globe, the left side of my body was in knots, I had a herniated vertebrae in my lower back, and my hands and wrists were incredibly strained. My body was so damaged, I thought my photography career was over. I saw a number of Western doctors, but the only solutions they could offer were steroid injections and painkillers—just temporary fixes. Then I received a very unique form of Thai bodywork that is based on deep long held compression instead of the traditional stretching. In several 3 hour sessions I was able to alleviate all the knots, stiffness, and pains that had been plaguing me for years. The work returned a flexibility and freedom of movement to my body that I had not felt since high school. I have received bodywork from all around the world, but in terms of results, nothing has ever come close to the level of healing I felt after this type of work. It was my own personal experience with this unique type of deep compression bodywork that inspired me study it so that I can share it with as many people as possible. Why are full sessions three hours long? Deep, transformative bodywork takes time. Matthew must work slowly and methodically to ensure the complete, full-body release of stagnant energy. He especially needs to allow for enough time to work deeply on problem areas, while guiding you in breathing techniques, to relieve congestion or tension in your muscles, so that your muscles and fascia can ultimately relax. Shorter massages may relieve stress in one area, but the full benefits come with a full session. What makes Matthew’s bodywork different? The three-hour sessions. This time frame allows Matthew to go deeply into areas of the body which normally are not given enough time. Even those who receive massages regularly often comment on how much more beneficial this type of bodywork feels. The guided breathing techniques. Many people forget to breathe during a massage, Matthew’s gentle reminders help facilitate a deeper level of healing. The healing environment. Matthew creates a space that allows people to escape from everyday stressors and negative thinking. The self-discovery. People learn to live with a lot of physical and emotional pain; they often don’t even know it’s there. Matthew’s sessions remind you what it feels like to be balanced and well—and you’ll likely be inspired to keep feeling that way. This is different for everyone. Many people feel powerful changes after the first session. However, when someone really wants longer lasting, transformative effects, they will typically get three to six sessions scheduled closely together. The first two sessions usually cover the entire body. Follow up sessions may involve several hours of focused work in one area. Results are more effective when sessions are close together because if you wait a month or more between sessions the body can revert back to its former state. After a series of closely spaced sessions, a monthly maintenance session will help to prolong the benefits achieved. What are some of the known benefits experienced from this style of bodywork? Please eat a light meal no less than three hours before your session and drink a lot of water the next day. You may not wish to schedule anything after your session as you may feel very different in your body. It is especially important to not engage in any form of physical exercise after the session or the next day. Please also avoid cold for three hours after your session. This includes drinking cold water, eating cold food and taking a cold shower. Your body needs time to adjust to the bodywork and muscles need time to recuperate. After each session it is important to drink lots of water and allow your body rest for at least 24 hours. Do not lift any heavy weights or move your body too quickly or erratically. Be kind to yourself. After a deep session, your body will open up and could be more prone to injuries for a day to two. If you are feeling sore, many clients take an Advil or drink Emergence-C with MSM. A warm bath or hot tub soak the next day is also good post-session activity as it further relaxes the muscles and promotes longer-lasting effects. Targeted Treatment Sessions are 2 hour sessions that are designed to target only one area of the body. They are different from Full 3 hr sessions in that I combine Deep Tissue Thai compression work with Deep Tissue oil work. The oil work is primarily done with feet and elbows. Clients are asked to wear shorts or other short or loose fitting shorts and a tank top or sports bra for women so that oil can be applied to the body easily without the use of traditional draping. Tell me if you are at all uncomfortable, especially with regard to the amount of pressure being used or the temperature of the room. Feel free to ask for less or more pressure at any time. Tell me if you are pregnant when booking. Let me know if you have any allergies or dislikes to anything. Especially any types of oils, scents, or body positions such as laying on your side for too long. Remember to breathe deeply and exhale with an open mouth. Drink lots of water after a session to cleanse and flush toxins out of your body. If you don’t drink enough water, the toxins can remain stagnant and you may feel nauseous and/or hot. Rest, give your body a break and let your muscles recuperate. Drink lots of alcohol after your session. It may take 1-2 days to recover from your session. Every body reacts differently to this style of work. And depending on how deep you want to work you may experience different reactions. Most people feel lighter, more flexible, relaxed and energized. Others may feel some soreness in their muscles for about 24-48 hours. At times you may feel tingling in say a finger or hand. This is just energy still moving within you that was released during your session. These feelings usually dissipate after a day or two. After about 48 hours you should be able to fully feel the full benefits of your session. I encourage my clients to give me feedback about how they feel after and during a session. This can help me fine tune how I work with you in future sessions. To my teachers Christopher Ray, Kate Lewandowski, Rachel Johnson, Bhaskar Banerji, Carl Johns, Marty Morales,Craig Toonder, Jason Frye, Chuck Duff, Atarangi Muru, Manu Korewha and Pichest Boothumme. And to my greatest teachers, my clients who help my practice evolve and get better every week. An additional thank you to Chris and Kate for inspiring the faq and about descriptions on this site. 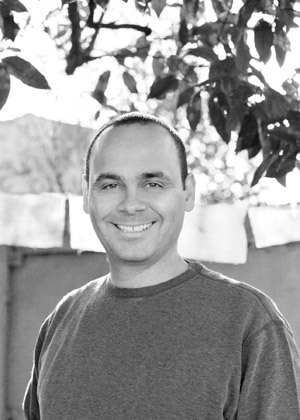 Matthew Wakem is a Certified Massage Practitioner with the California Massage Therapy Council. (CMP Certificate #53113) Is a member of ABMP: Associated Bodywork & Massage Professionals – ABMP ID# 1046174 and belongs to THAI: The Thai Healing Alliance. Please reserve your session at least 24 hours in advance. Sessions are on Sundays and occasional Saturdays only. There is a 48-Hour Cancellation & Rescheduling Policy. 48 hours in advance is the minimum time required to change or cancel an appointment. Appointments that are canceled or rescheduled with less than 48 hours notice will be charged the full amount of the session if it is left unfilled. If you can’t make an appointment, you are welcome to send a friend or family member to take your slot. Full session treatment bundles are not refundable but can be transferred to friends or family. Bundles expire after one year. This is the best way to reach me to schedule a session. Please include your first and last name, phone number, email address and what you would like to work on during your session with me. Please allow 48 hours for a response. New Clients please download the above intake form, print and fill it out and bring to your first appointment. The name Deep Tissue Thai™ and its logo are registered trademarks of Matthew Wakem and may not be reproduced by any means or in any form whatsoever without written permission.